The Chinese government in Tibet said it will boost numbers and cut waiting times for foreign tourists visiting the highly restricted region, amid renewed pressure from the United States for greater access for US officials and journalists. Beijing denounced the law at the time as interference in China’s internal affairs, risking “serious harm” to ties with Washington. The Tibetan government will shorten the time required for foreign tourists to gain access to the region by half and boost numbers by fifty percent, Qizhala, chairman of the regional government, said in an annual work report published by the official Tibet Daily newspaper on Friday. Beijing has ruled Tibet with an iron fist since Chinese Communist Party troops marched into the region in 1950 in what it terms a “peaceful liberation”. 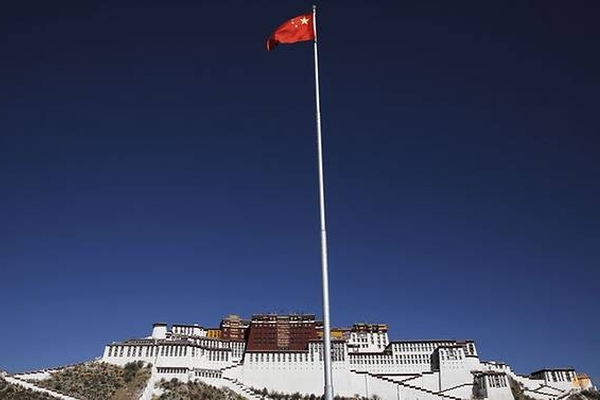 Qizhala also pledged that the government in Tibet would “take a clear-cut stance in the fight against the Dalai clique”, a reference to exiled spiritual leader the Dalai Lama. “We must improve the monastery management and service mechanisms to defend the bottom line of Tibetan Buddhism not being manipulated by foreign forces,” he said, and management of religious activities must prevent another “upsurge” of religion. Rights groups and overseas activists say ethnic Tibetans face widespread restrictions under Chinese rule and the UN High Commissioner for Human Rights said in June conditions were “fast deteriorating”. This year marks the 60th anniversary of a Tibetan uprising against Chinese rule in 1959. Supporters of Tibetan independence and of the Dalai Lama have staged protests in the past to mark the uprising’s anniversary, angering China. China views the Dalai Lama, Tibet’s Buddhist spiritual leader who fled into exile in India after the failed uprising, as a dangerous separatist.